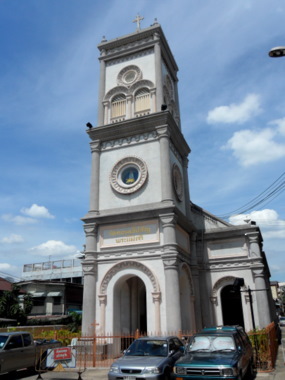 The Immaculate Conception Church is probably the oldest Catholic church in Bangkok dating back to the 17th century in the Ayutthaya era during the reign of King Narai the Great. Immaculate Conception refers to the Catholic doctrine that the Virgin Mary, protected by divine grace, conceived free from sin. The virgin will be with child and will give birth to a son, and they will call him Immanuel"—which means, "God with us." A very old belief dating back to the 15th century, this only became official church dogma on 8 December 1854, on which the feast of the Immaculate Conception is celebrated. 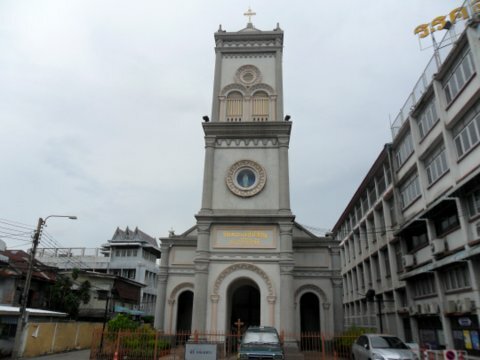 Located deep in Soi Mitrakham, Samsen, the Immaculate Conception Church has gone through several reconstructions to serve the needs of the changing local population. The first church was built in 1674 on land donated by King Narai the Great (1657 - 1688) of Ayutthaya to serve the Kuay community, an old ethnic group of Mon-Khmer origin, who had settled in the area. 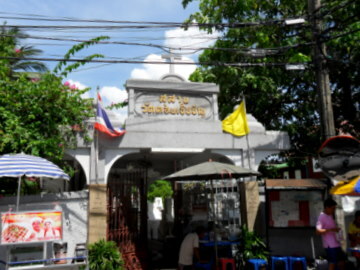 The church was called Wat Noi or small church. The destruction of Ayutthaya put a temporary halt to the activities of the Catholic Church in Bangkok. In the Bangkok era during the reign of King Rama I, foreigners were invited back in a bid to revive trade. 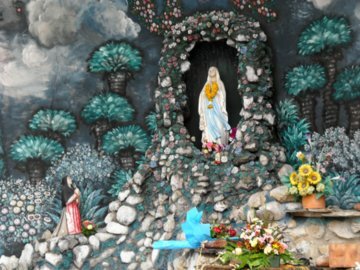 Portuguese and refugees from a civil war in Cambodia rebuilt the Immaculate Conception in 1785. As a result the church was called Bot Ban Khamen or Cambodian village church. 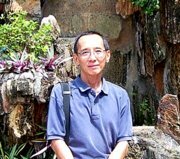 Owing to religious persecution in their country, the Vietnamese have been present in Bangkok and Ayutthaya since the 17th century. Vietnamese immigration increased in the 18th and early 19th centuries during the reigns of King Rama I & II. A war with Vietnam in 1832 during the reign of King Rama III (1824 – 1851), brought prisoners of war and many chose to remain in Thailand. 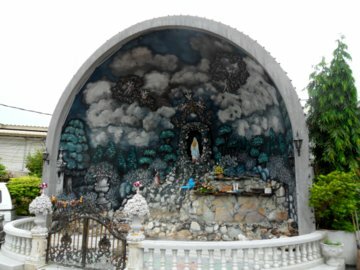 With the growing Vietnamese population, the Immaculate Conception was rebuilt in 1834 and called Bot Ban Yuan or Vietnamese village church. The present church was rebuilt in 1847. This time it was by Monsignor Pallegoix, a famous French priest renowned for his missionary work in the kingdom. On your way to the church you will pass the church cemetery. This was something I missed during my first visit. 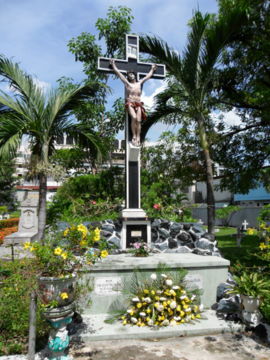 The crucifix is on the tombstone of one of the priests from the church. Like most of the older churches, the front of the church faces the river. There’s a small courtyard with a rock garden dedicated to the Virgin Mary. 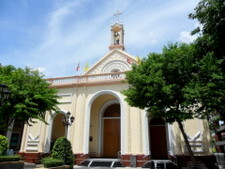 Known locally as Conception Church or Wat Conception, the Immaculate Conception Church Bangkok is another historical monument to the long tradition of religious freedom in the kingdom. 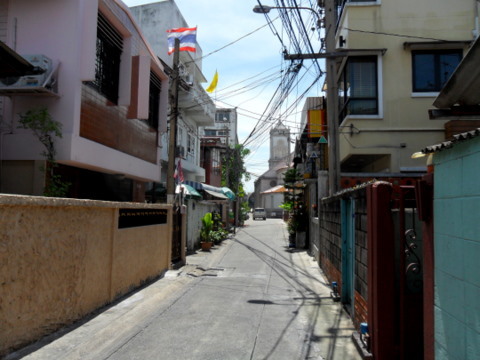 Soi Mitrakham is not shown in street signs; it’s the area around Soi 11 and Soi 13. The following bus services from the city pass Samsen Road. There are no convenient river piers in the Soi Mitrakham area. On your way in, you will pass the St Francis Xavier Church. Pay a visit to this church as well. 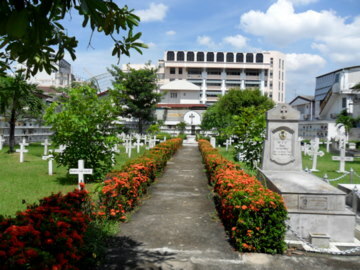 At the St Francis Xavier Church, turn left then right and follow the signs till you get to the cemetery, then turn right into this soi that leads to the church. For other old Bangkok churches in your tour of Bangkok legacies.